Beirut is beautifully situated on the Mediterranean coast of Lebanon, which covers all the west side of the country. Beirut is the largest city in the Republic of Lebanon and has the most major port. As the main port of Lebanon, Beirut has a very important role in world shipping. Other important ports along the coast of Lebanon are still those in Tripoli, which is respectively the second largest city in the republic. Beirut lies right in the middle of the Mediterranean coast of Lebanon, and extends to a total area of 85 sq. km. Nearly two million people live in the capital, and with including the suburbs of Beirut, the number of inhabitants reaches to about two million two hundred thousand people. The panorama of Beirut, which is built on a peninsula in the Mediterranean, is quite impressive. The town itself has also quite a lot to offer giving its visitors a memorable stay. Beirut is the main economic, financial, political center of Lebanon, but also it is the cultural heart of the country.There are quite a lot of theaters, religious temples and the nightlife in Beirut is also something that allows for an enjoyable evening. That is a fact, although Lebanon and its capital Beirut recently was an unattractive tourist destination because of political and military conflicts. Lebanon, lacks of natural resources leaving the industry of agriculture poorly developed. 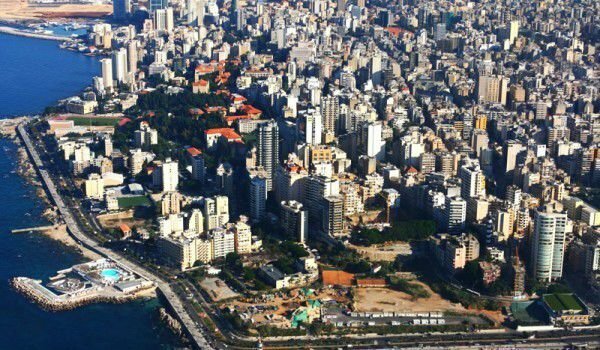 By contrast, Beirut has a high development of trade, services, banking and financial sector and tourism. In recent years Lebanon has gradually been emerging from the economic crisis and this is largely due to progress that Beirut marks. The main industries which are favorable of the republic are oil refining, textiles, food, building and the chemical industry. After the destructive Lebanese civil war, Beirut had undergone a major building renovation, that saw the raise of a new historical city center. To become Beirut again and one exotic tourist destination, very new and modern facilities were built. In the past years New York Times magazine ranked Beirut in the top 10 most visited cities. The spectacular new buildings in Beirut and the modern buildings, house the offices of most major international companies which are visible today. The main street in town is "Hamra", which is home mostly to shops, restaurants and bookstores, etc. Beirut has an urban area that is markedly Christian. If you walk down this area you can see a beautiful and spectacular white statue of the Virgin Mary, known as Harris. The statue stands perched on a hill above a beautiful view of the whole area. To see, Harris and the church a secured special lift has been built. Downtown of Beirut, which brings all the bustle and charm of the Arab markets is known by the name, Bush Harnesses. There, are the goldsmiths, pretty studios and shops. Do not miss a walk along the coastal strip in Beirut, which is one of the main places to walk in the city of Lebanon.